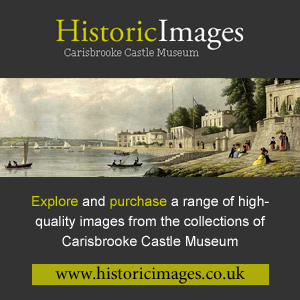 Carisbrooke Castle Museum was founded as a memorial to Princess Beatrice’s husband, Prince Henry of Battenberg, who had died during the Ashanti campaign in 1896. The project, suggested by the widowed Princess, was funded by public subscription and endorsed by her mother Queen Victoria, who donated some significant objects for display. The new museum of Isle of Wight history, installed in the specially-restored Castle gatehouse, was opened by the Princess herself in August 1898. The Princess always took a personal interest in the welfare of the Museum and its collections. With no funding to employ professional curators during her lifetime, the Museum benefited instead from the dedication of local enthusiasts such as Frank and Kathleen Morey, and HF Poole, who undertook the cataloguing, care and display of the collections. 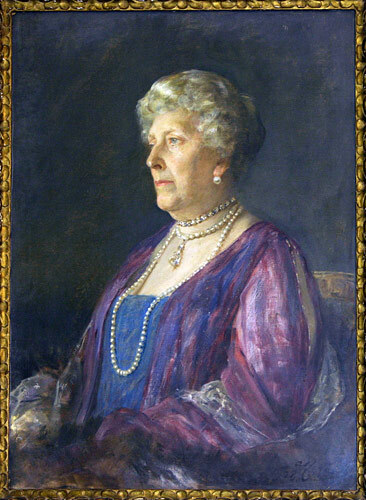 Before her death in 1944, the Princess safeguarded the Museum’s future by setting up a Charitable Trust to take over responsibility. During the preceding half-century, the collections had grown beyond the capacity of the Castle gatehouse to store and display them. The Trust therefore requested permission from King George VI to transfer the Museum from the gatehouse to its present home, the former Governor’s House. In 1952, the Castle’s Great Hall became the Museum’s galleries, and other rooms in the building became offices and stores. Here, in the building which was Princess Beatrice’s Island residence for many years, the Museum Trust continues to carry out the Princess’s wishes, by collecting, caring for and displaying the Island’s past.